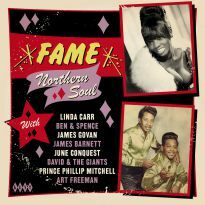 If you've ventured into a Northern Soul club over the past thirty odd years, the chances are that you'll have already heard the first fifteen seconds of this CD. However, unless you've been frequenting the 6Ts 100 Club all-nighters over the last twelve months, the next two minutes of the opening track will come as a very pleasant surprise to you. That's because around that point the famous instrumental track of the Checkerboard Squares' Villa single Double Cookin' metamorphasises into a beautiful male soul group, harmony performance called (Just A Little) Faith And Understanding. 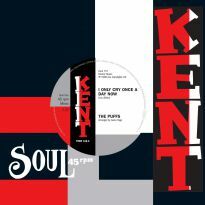 This is yet another Kent Northern Soul coup, finding the holy grail of a sublime vocal put to a classic Northern instrumental that fans have searched out for a generation. The original single just used the very effective backing track and this magical singing version was left on a ¬?" master tape languishing in Fantasy's tape vault. In the sleeve notes I actually go on to use 1500 words to describe the sequence of events that got it from there to your CD player, so I'll not strain your eyes twice. Suffice it to say that Ace's garage gringo Alec Palao was instrumental (pun intended) in getting this and half a dozen other tracks on here for you soul sophisticates. For instance he also found the original master tape to Ty Karim's super-rarity You Just Don't Know that Ty's husband Kent Harris had lovingly looked after while awaiting a proper deal for the licensing of his superb Romark label. 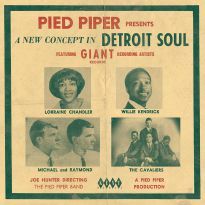 So now listen to the clarity of that cascading piano, crisp cymbal work, haunting organ and Ty's fabulous, rich, deep brown vocals on a song that epitomises all that's good about mid-60s, soul-soaring music. More sounds that command a four-figure price are the Extremes' Four J single How I Need Your Love; great soul group harmony so rare that mortals like us will probably never see one let alone own one. Also Eddie Campbell, the now sadly deceased half of Eddie & Ernie, gives us his only solo single Contagious Love that came out on the microscopic Phoenix label Artco. It's a true Southern Soul sound but has just the right beat for the rare soul dancefloor. As does the next high roller: in spades. It's the Shreveport, Louisiana recorded I'm Waiting by Bill Bush; catchy as hell and a pure soul sound despite Bill's pale face. 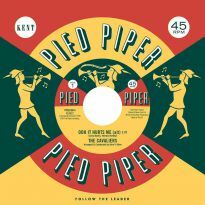 This track has got him flying over for a gig in Glasgow this summer; read all about it in the booklet. 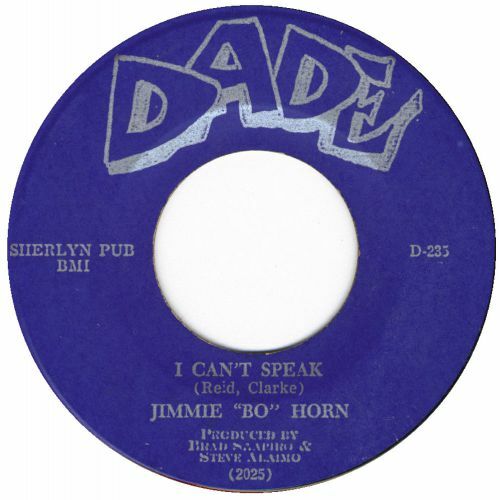 The final of our five ¬£1000 plus singles will also please our southern soul brothers, it's the beautiful Florida produced Jimmy "Bo" Horne I Can't Speak on Dade Records. Clarence Reid, Willie Clarke, Brad Shapiro and Steve Alaimo are all involved; enough said. 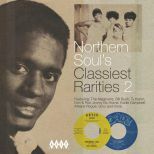 The "Classiest Rarities" series tries to represent all the facets of the Northern Soul collector's world and to us the little nuggets that we play at home are just as valuable as the monsters that draw dancers to the floor like moths to a flame. 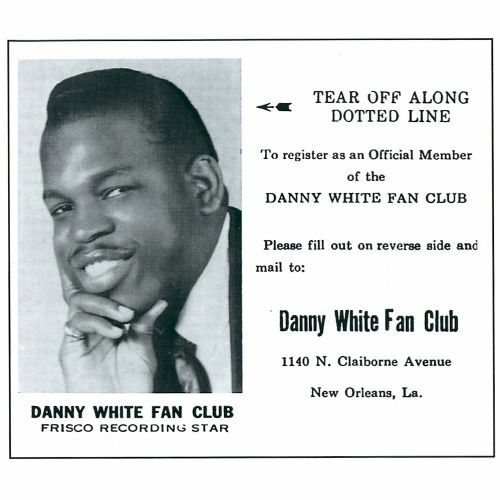 Records like Danny White's Miss Fine, Miss Fine on the Frisco label out of New Orleans are within most people's spending limits but are as downright dirty and soulful as this music gets. 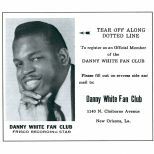 Having Isaac Hayes and David Porter write and produce the single in Memphis undoubtedly made the session happen and Danny rose to the occasion. In a similar bag is Billy Keen's smoother soul sound I Finally Got Wise cut for Galaxy and featuring the sort of big Ray Shanklin arrangement that Cliff Goldsmith used to such success on Little Johnnie Taylor's recordings. All soul fans have a soft spot for girl groups and we have some fine examples. An outfit, possibly called the Angels (it's an unreleased Swan master tape with poorly annotated tape box notes), give a tough performance on You Got What You Want that the Shangri Las would have been proud of. Denita James' Wild Side is also very much of its mid 60s period with lyrics about a rebel boyfriend who's never been understood; a right trouble maker if you ask me. For lovers of that specific Philly sound of a lead girl with a male backing group, like Patti & The Emblems and Ruby & The Romantics, we have Janice Christian with Johnny & The Charmers. They give us another Swan recording called Just A Bad Dream which features shoo be dooby doo bop she-bops galore. Then there's some folk/soul/protest from Canada's Jackie Washington, mellow pop-soul from the charmingly named Athens Rogues and a groovy doo wop take on the standard It's Only A Paper Moon by the economically named Gino. Add some faux oriental sound effects on Jennifer Wells' Dining In Chinatown, the surfing soul sound of Carl Burnett & The Hustlers Jerk Baby Jerk and a beautiful Bobby Hebb beat ballad ender from William Hunt and you have a CD for each and every soul fan on this diverse scene. 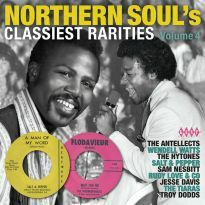 Following the success of our last collection of super-rarities and collector’s curios, we’ve assembled another 24 magical musical moments to represent all that’s good in the Northern Soul world. 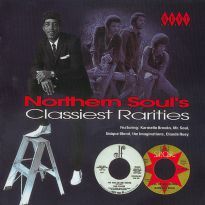 When Northern Soul was at its peak in the mid 70s, many of the fans were obsessed with instrumentals. Backing tracks of Mirwood, Modern, Audio Arts and other labels where wheeler-dealer Simon Soussan could get access to the tapes, became massively popular at all the main venues. In nine out of ten cases, however, it can’t be denied that the vocal versions are superior. Usually a vocal version would be discovered shortly after a great instrumental had been unearthed but there were always a handful of excellent instrumentals where the vocal never surfaced. The speculation as to how good these potential vocals would be exercised many a soul searcher’s mind over the years. The ultimate instrumental-only records were Earl Van Dyke’s ‘Six By Six’, Earl Wright’s ‘Thumb A Ride’, Hank Jacob’s ‘Elijah Rocking With Soul’ and the Checkerboard Squares’ ‘Double Cookin’’. 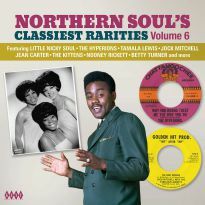 There was rumoured to be a vocal version of ‘Six By Six’ by one Tony Turner called ‘(My Room Is Only) Six By Six’ on Musicor, but the sound quality was reputedly so poor it was obvious that the vocal was added artificially for the Northern Soul market. 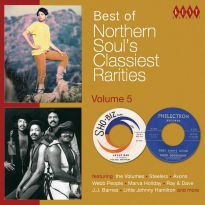 The vocal to ‘Double Cookin’’ by the Del-Satins featuring Adrienne Williams emerged on a 70s pressing purportedly on the Villa label, with the instrumental on the flip. However, given Simon Soussan’s track record and the fact that all the proper copies of Villa 705 had a MOR instrumental called ‘A Day In Sausalito’ on the flip, it was widely assumed that this version was also a tailor-made job. 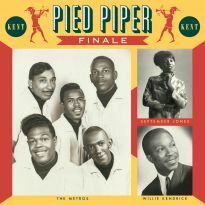 The vocal performance was good, but the banal lyrics and blatantly obvious backing vocals of “keep on burning” meant the record never really took off and the original instrumental continued to get the plays over the years. Villa was a San Franciscan label originally owned by singer Troy Dodds and Frank Jones. 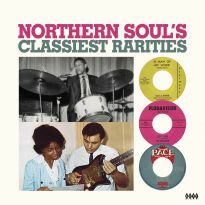 The first two releases on the label were by Ozz & the Sperlings, who were Jesse Osborne’s group. DJ Herbert Campbell then brought in the group he managed, the Magicians, and took over the label. Jesse Osborne went on to work for Early Bird and formed his own MIOB label, which was distributed by Fantasy/Galaxy. Frank Jones worked as a producer for them, so the ties with Villa were maintained. When Frank moved from the Bay area, the master tapes were somehow left behind with Jesse’s MIOB tapes at Fantasy. Fantasy went on to become a major concern in the record business with the success of Creedence Clearwater Revival and by the 1980s had acquired the huge (yellow) Stax /(blue)Volt catalogue for reissuing and licensing purposes. Ace Records became the UK licensee for the label in 1987 and has run an extensive reissue campaign of Stax, Prestige jazz and Galaxy and Fantasy soul recordings ever since. Working for Ace, I got to visit the company’s tape vaults in Berkeley, California in the late 80s. While researching the soul master tapes, I remember coming across a very interesting looking 10” master tape reel that had Ozz & the Sperlings tracks on it as well as some unidentified numbers like ‘Faith And Understanding’ and ‘Is It All Gone’. 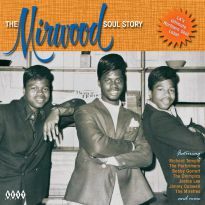 They could have been any type of soul songs but looked tempting. On enquiring about the tape I was told it wasn’t owned by Fantasy and was on a ½” multi track that would need a special machine to copy it. After some mild pangs of regret, which my curiosity and optimism always invoke, I got on with the job at hand. Fast forward to 2003 and Ace Records and Fantasy still have a great working relationship which has been further improved by Ace rare rock consultant Alec Palao (and one time 6Ts 100 Club all-nighter cloakroom operative) wedding a lovely “California Girl” and going to live in nearby El Cerrito. Apart from being a garage music guru, he’s also a master of the master tapes and has all the types of antique machines that you would need to get the sound out of the many variations of tape that exist. He made himself helpful around the Fantasy vaults, researching tapes for Stax projects and his own series of Galaxy blues and soul reissues. In the process of doing this he came across the Ozz tape that was STILL there, and in his never-ending research on Bay area labels got to copy the tape. Being aware of the Northern Soul scene from my work and from his time in the 100 Club dungeon, he knew the tracks were good, but didn’t quite realise HOW good! So at the next Ace get together at the Harlesden HQ he casually popped into the listening room where I was slaving away and popped a rough mix CD-R of the tapes into the player and asked me what I thought of it. Well, know-all me said unimpressed: “Oh yes, it’s the Checkerboard Squares ‘Double Cookin’’ on Villa.” He just grinned. Twenty seconds later my chin hit the floor, my liver quivered and my knees went weak. A magnificent male vocal group with a sublime lead singer burst on top of the music and I was squirming with pleasure. My immediate impression was that it was the same sort of uptempo group vocal that the Originals aka the Prophets provided on ‘Suspicion’, my second was that the lyrics almost sounded tailor-made, they were so apt, “Faith and understanding” could have been a Wigan patch back in the day. My third thought was, this is going to be MASSIVE. After that, I was on the ropes, and just to knock me out cold, he let the music run into the next track. The studio engineer then announced “‘Is It Love Baby’ take three”; off goes ‘Double Cookin’’ again and this time a girl group swoops in with a totally different set of lyrics. It was soul heaven. When I finally came to, I decided to initially go with the male vocal. This turned out to be by the esteemed Magicians, the San Franciscan group that recorded ‘Love, Let’s Try Again’, ‘Why Do I Do These Foolish Things’ and ‘Keep Your Hands Off My Baby’ for Villa. The female singers were called the Waves, and Herbert is trying to find out more information about the unknown combo. Why these stunning vocals were unreleased at the time is unknown. The company just decided to go with the backing track and presumably sales weren’t encouraging enough to put out the vocal too, or perhaps a deal with Galaxy failed to materialise and the tracks were left in Ozz’s office and forgotten about. But nearly forty years later in the UK, this sensational slab of soul was put onto acetate so that I could spin it at the next 100 Club all-nighter (where else?) 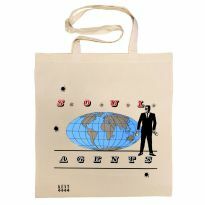 and I announced its world première on the Soul Source and Soul Talk internet discussion groups. This built up the atmosphere for the forthcoming all-nighter and there was a definite buzz around the packed basement club that night. The crowd are some of the most knowledgeable and sophisticated connoisseurs in the world when it comes to rare soul, so I knew it had to be good to live up to the hype. Of course it was and it received a standing ovation from the packed dancefloor. It was also the only time I’ve ever played a record three times at the same dance. 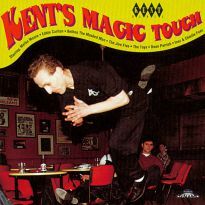 Not a hard record to break, by any means, it became huge overnight and the 100 Club punters were eventually rewarded for their patience when it appeared on the 25th Anniversary single in September 2004, by kind permission of owner Herbert Campbell. It was done as a means of promoting the music for its forthcoming release and at the time we didn’t realise how rewarded the lucky recipients would be. 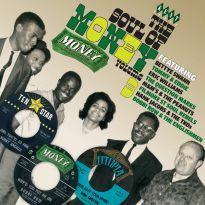 No one expected the limited pressing of 400 singles that were given out on the night would become quite so in-demand. Already the single is fetching three figure sums in pounds sterling on eBay and that is likely to rise over the coming years. ‘(Just A Little) Faith And Understanding’ is here at last for the soulful public to buy, and there’s just the Waves’ femme version to hang on for. 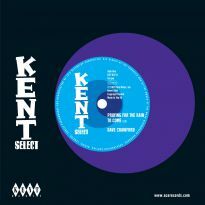 That got its world première this April and will be on a Kent CD in a year or so.